For those fan who weren't born in the 70's, or are too young to remember, the game last night between Buffalo and Boston was something right out of the old Memorial Auditorium days. 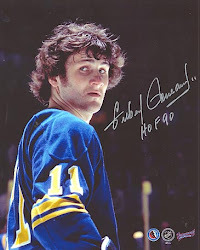 The Sabres and the Bruins have and old-school rivalry on their hands, one that goes back to the days of rookie Jim Schoenfeld and his hatred for the Stanley Cup Champion Boston Bruins of 1972. 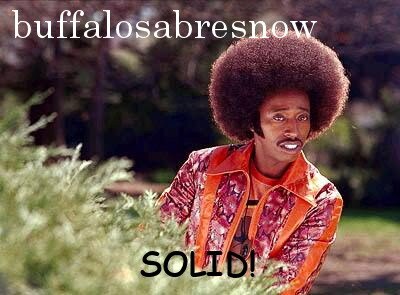 Buffalo doesn't have the beef to rival Boston when it comes to pugilism, but they seemed to have found their heart and their pride. The Bid Bad Bruins, bully of the NHL, will not get any lunch-money from the Sabres without a fight. We all know about the Milan Lucic/Ryan Miller incident. We all know about Sabres forward Paul Gaustad taking one on the chin in the rematch when he took on Lucic to defend the Sabres' crest. And last night, Cody McCormick, Mike Weber and Patrick Kaleta continued the trend that Gaustad started by standing up and being counted. There's not a team in the league that can match the collection of back-alley brawlers they have in Beantown. Lucic, Shawn Thorton, Zdeno Chara and Adam Mcquaid are all big, tough, mean S.O.B.'s. At 6'1", 200 lbs., Kaleta is no flyweight, but he looked like that against 6'4", 220 lb., Lucic. And one would have to question whether or not Kaleta was in his right mind to drop 'em against one of the best fighters in the league. But he did. Standing up to Lucic knowing the consequences can only be described as a temporary bout of insanity. It was a six-second bout between the two with Kaleta absorbing some punishing blows. It was six-seconds of punishment in a 60 minute game which ended up being a 6-0 "rout" by the Sabres. There's not a player in the league who wouldn't want to deliver a beatdown on Kaleta like Lucic did last night. He's a known pest and agitator who takes his game to the extreme--and sometimes beyond--to get under the skin of opponents. And he's hated by every team in the league outside of Buffalo. But he may have earned some props for his suicide mission. Said Lucic after the game concerning Kaleta, “He is who he is and if he wants to be like that, good for him." If I were Kaleta, I'd take that as a compliment, and maybe a show of respect.